Mortorized Torque Stand MTS series | IMADA CO.,LTD. IMADA Screw Cap Torque Tester DTXS/DTXA series. The capable rotation is both CW and CCW at 3~90 degree/sec. such as repeat durability test of bottle opening, PCB twisting, etc. The measurement in accordance with JIS C 8280:2011 ” Edison screw lamp holders” is partly possible. * To perform the test according to JIS, a torque gauge, an attachment etc are necessary. The test result becomes more accurate and repeatable since the torque stand MTS series applies torque with uniform speed. The space saving design is ideal for measurement in a production line. There are 3 selectable test mode, MANUAL mode, CONTINUOUS mode and ONE WAY mode. Rotates while the arrow button is pressed. It is possible to repeat at specified number of times and to apply specified torque in setting time in either or both directions. Perform either rotation CW or CCW (Selectable). Automatically, it stops when the applied torque reaches at setting torque. You can select the suitable mode according to your test. The upper attachment to grip a sample is changeable. You can choose the attachment fitting your sample. 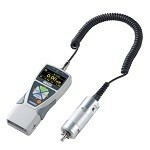 (Torque-Angle Measurement Unit is available which includes necessary items of Torque-Angle Measurement. 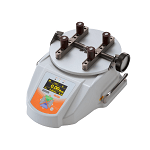 Please see Torque-Angle Measurement Unit TAA-MTS-TB series if you are interested in). 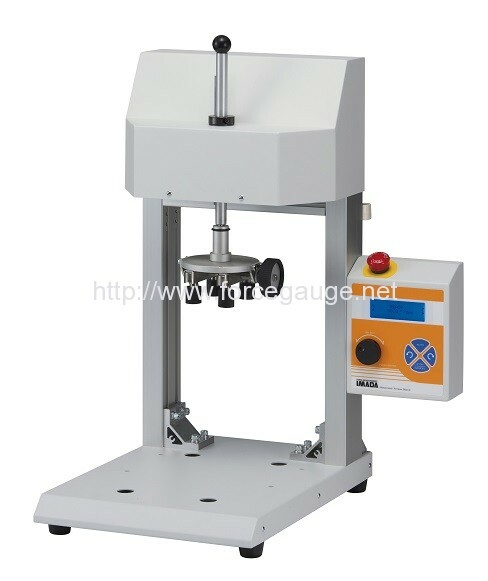 Please see Force Gauge and Test Stand when you need to measure compression or tension force. *1 Torque gauge should be connected with the cable (included). *2 This option is factory fitted only. To save or check angle, a DTXA and Force Recorder Professional software are required. *3 Fuse may need changing, when used in a place other than country of purchase. Please ask us or your local distributor for the details. * This option is factory fitted only. To save or check angle, a DTXA and Force Recorder Professional software are required.